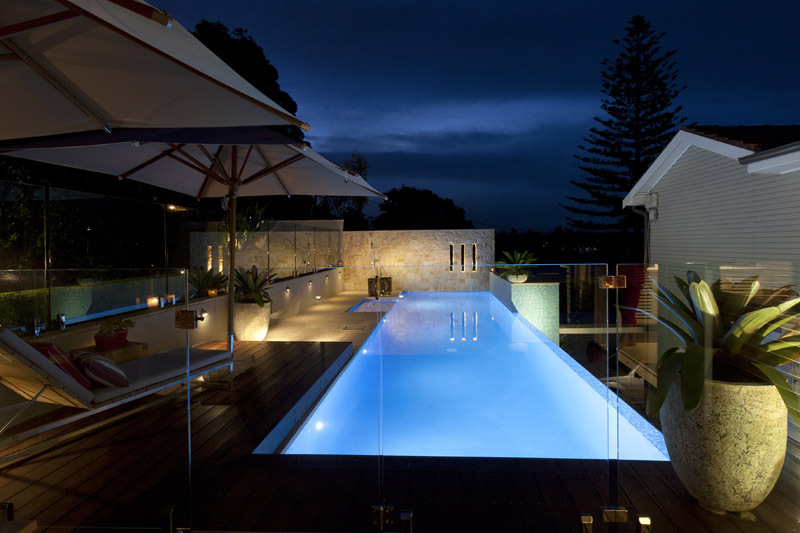 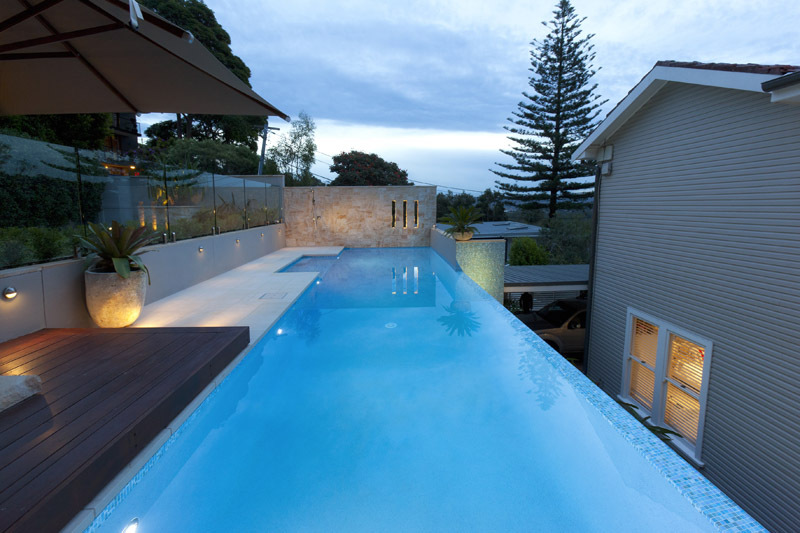 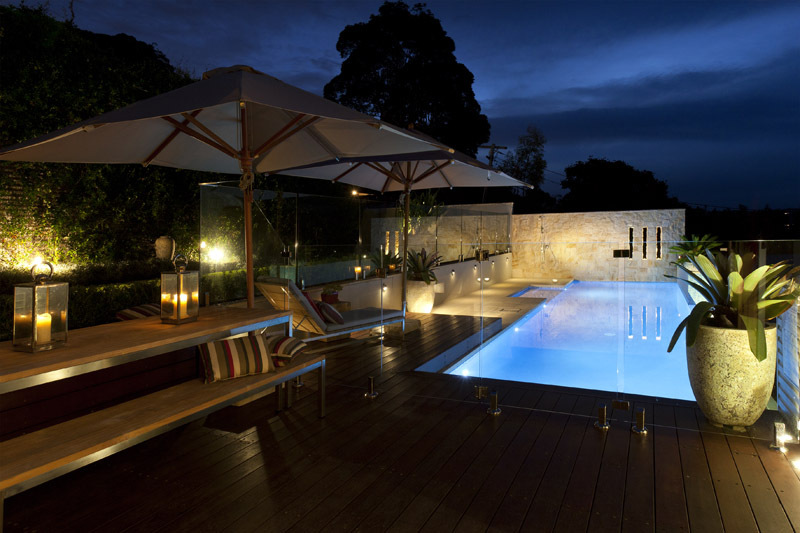 We were very fortunate to be a part of this beautifully created award winning pool. 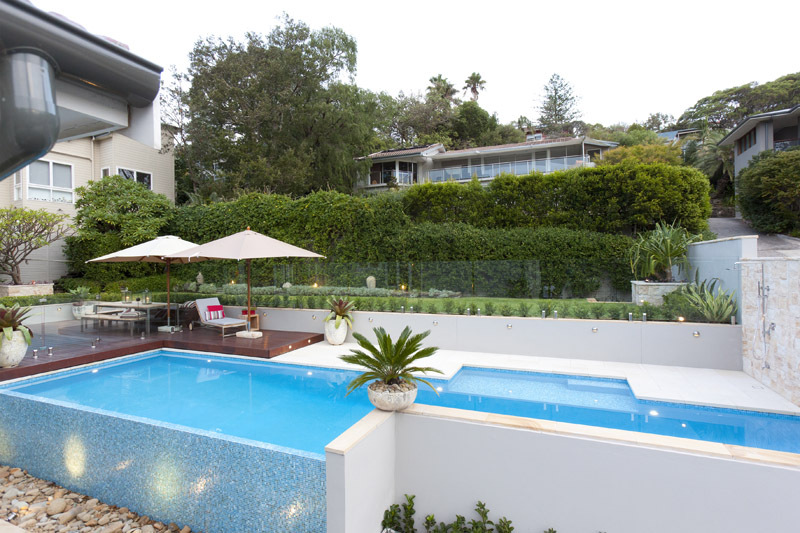 The pool was designed, built & Landscaped making the best use of a steep slope, utilizing an area that would create a stunning family space. 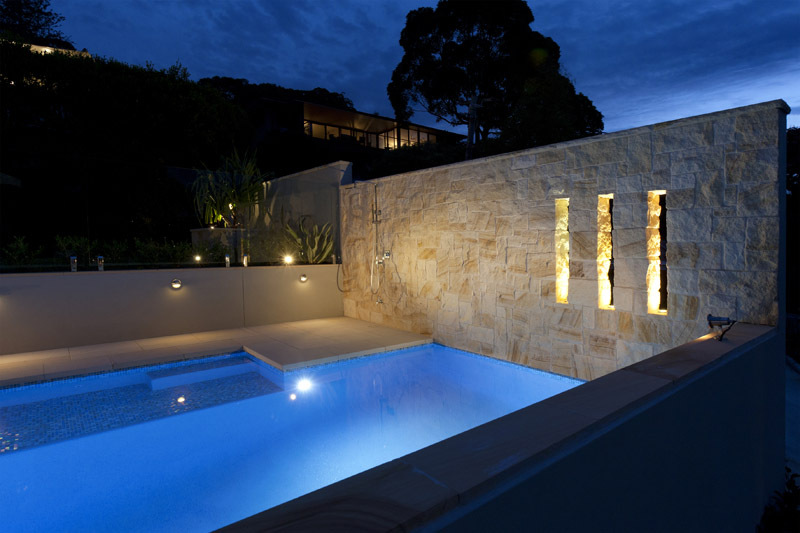 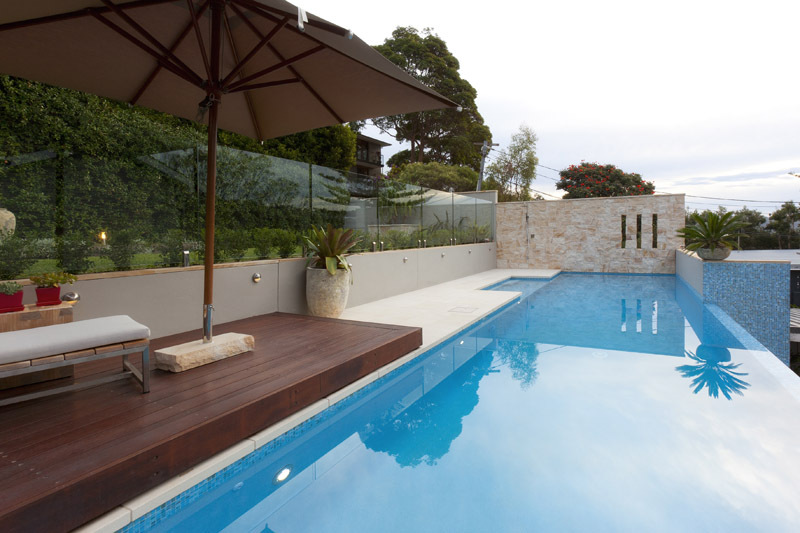 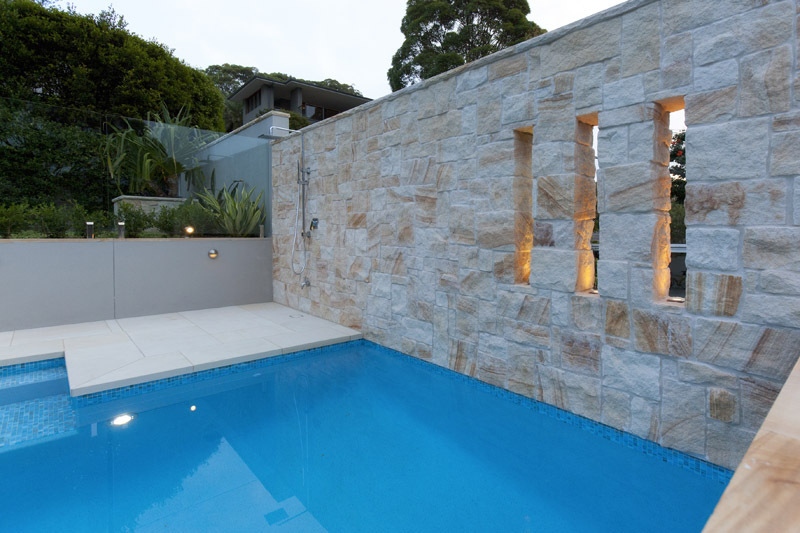 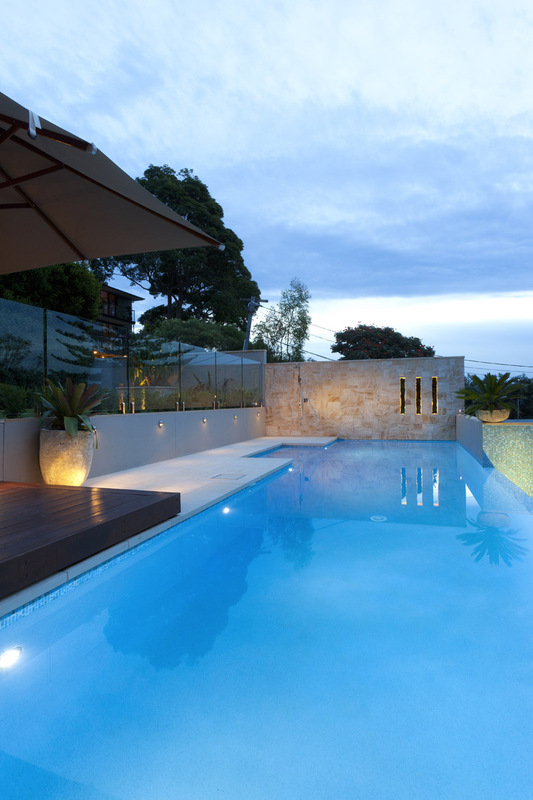 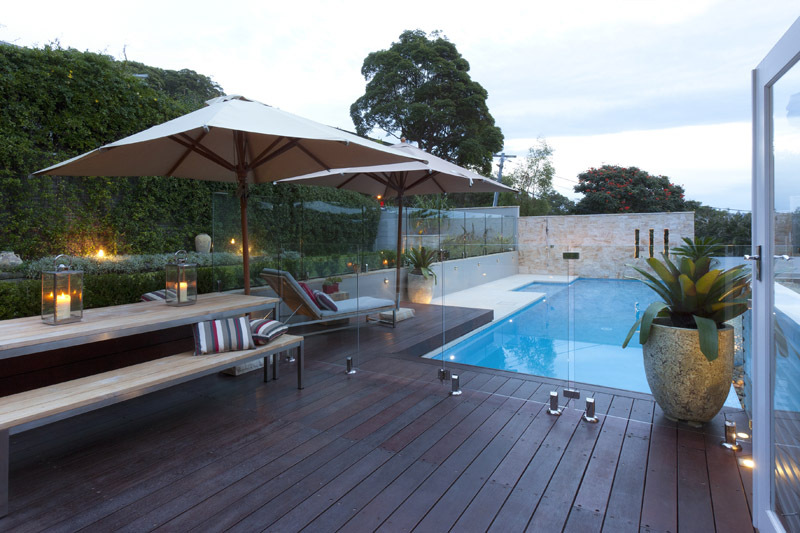 Landscaping the surrounds of this stunning pool with materials sourced with the clients love of natural sandstone we created an exquisite feature wall created from Killcare Sandstone along with Mount White Sandstone paving.